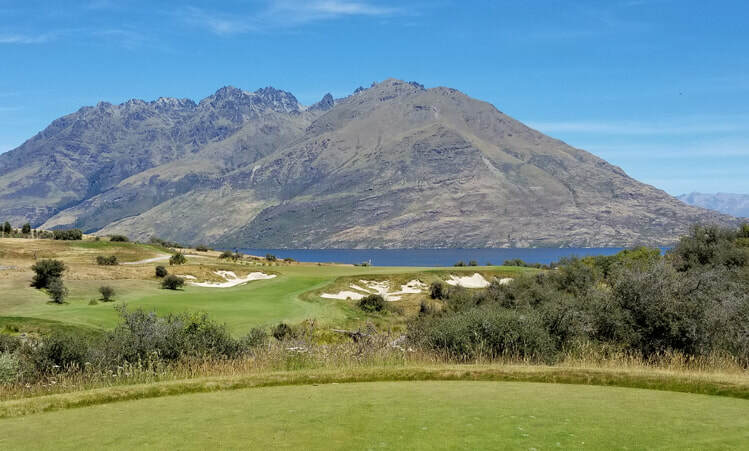 Jack's Point Golf Course Hole 1: This relatively short par four starts the round and really any shot that does not go left off the tee should be fine. Left on the second isn't good either. The green has strong breaks on most places, which is a taste of what lies ahead. Jack's Point Golf Course Hole 2: This par four plays longer than the yardage as the second shot is quite a bit uphill and has to make sure to clear the deep front bunker, so it's all carry. 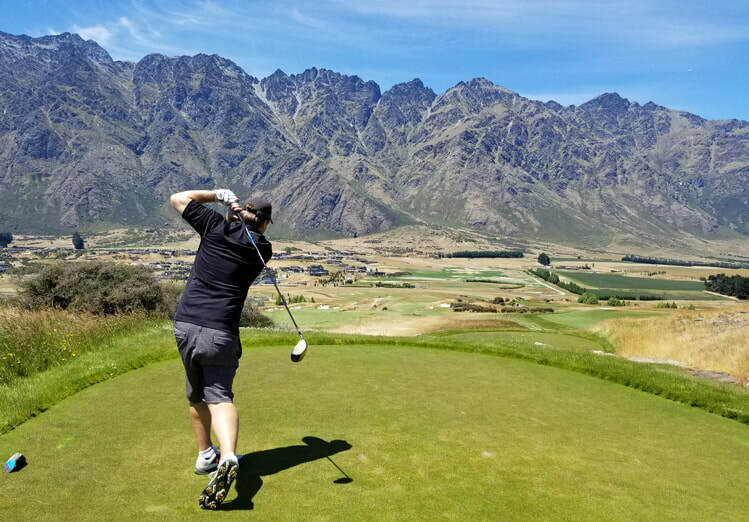 The tough part is that the fairway pinches in more the longer the drive and natural stones dot the natural areas on both sides, so accuracy is a must. Jack's Point Golf Course Hole 5: The first great hole of the day is a sweeping, slightly uphill dogleg right par five. There is plenty of long grass that needs to be avoided, especially right of the fairway, but that is pretty generous. The fairway narrows over the second corner but widens a bit up closer to the green and to the left. 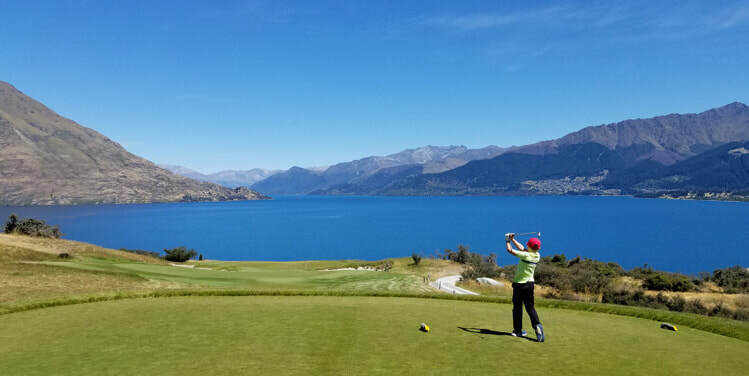 The green complex is stunning as it gives the first strong view of Lake Wakatipu. Jack's Point Golf Course Hole 6: A short, downhill par four, this can be driven but there really isn't a great miss near the green, other than maybe just short. The layup must be smart to avoid other trouble along the way, however. The green is well protected and bad is long too. 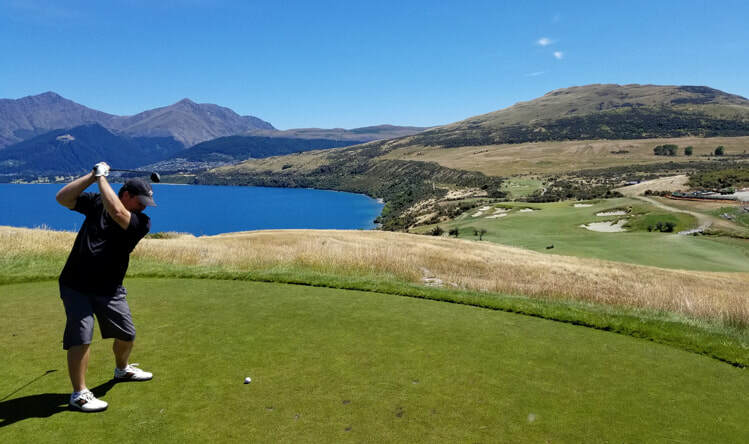 The views of Queenstown are outstanding..
Jack's Point Golf Course Hole 7: This short par three has one of the best lake views in the world. 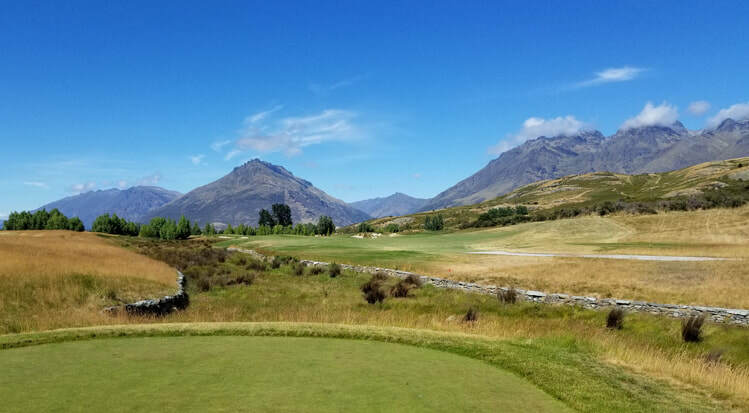 The hole itself can be played with a short iron to fly to the surface or, for front pins, a shot can be hit short and will run down the hill onto the green as well, as long as it does not go too far left or right and find the bunkers. Jack's Point Golf Course Hole 10: The back nine starts with a relatively short par four that is slightly downhill. From the tee, the fairway looks tiny. It does open up to the right side, but not a ton. The second shot has to travel over a hazard and a couple of bunkers to an angled green with a spine running across its middle. 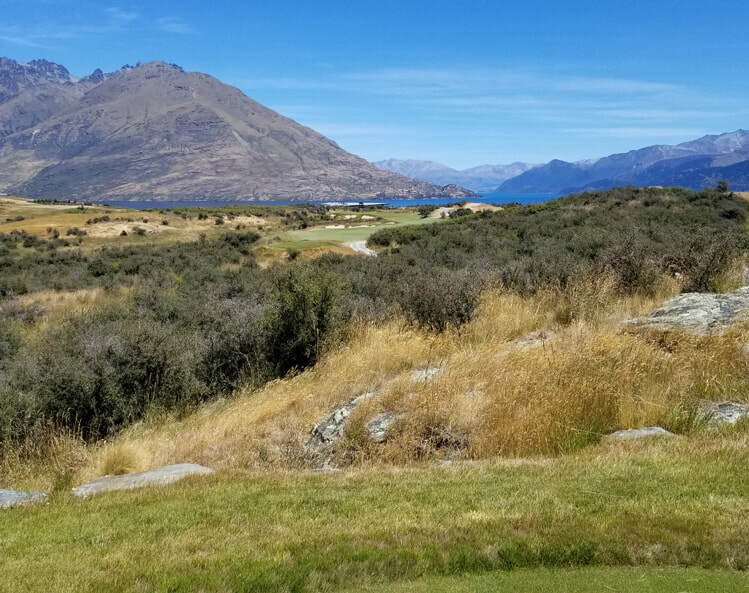 Jack's Point Golf Course Hole 11: The view on this hole is once again inspiring but the player should be inspired to not be short in any direction. Long is a much better option and will leave a manageable chip if the green cannot be hit. Any bunker found on this hole will make par almost achievable. 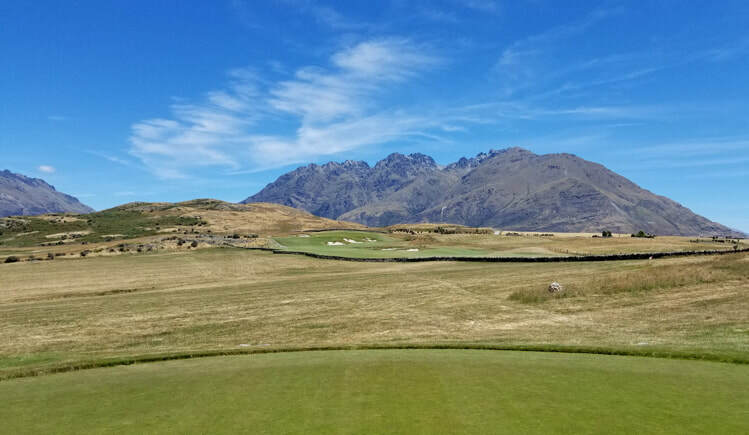 Jack's Point Golf Course Hole 12: This par four is long, straight and uphill and run right towards the Remarkables mountain range. 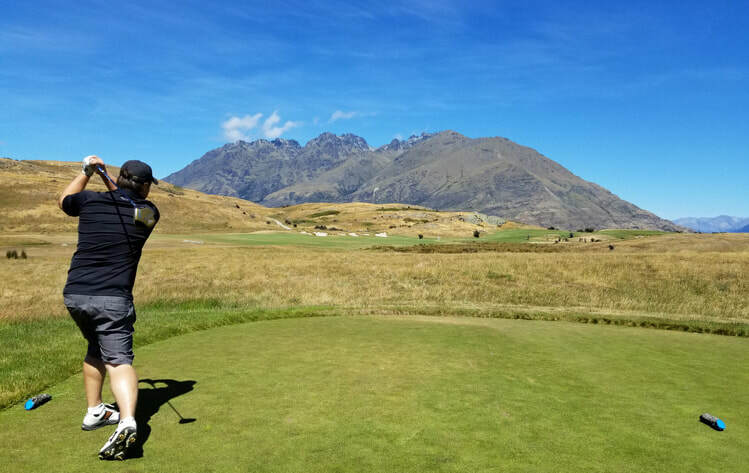 Both shots will get a lot of hang time against the mountains, which is an added bonus should they happen to be good shots. Jack's Point Golf Course Hole 15: The drive on this hole is unique as it must fly the grasslands and a rock wall to find the fairway. The farther left the tee shot goes (without going left of the wall of course), the longer the carry, but the better the angle to most pins. The second shot is tough as it is uphill to a green with bunkers short. 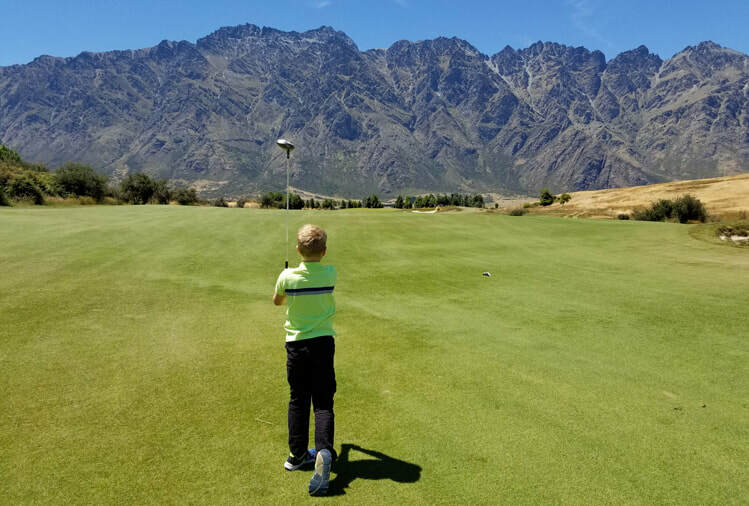 Jack's Point Golf Course Hole 16: Downhill and long, this par four has trouble on both sides of the fairway, but layup is not really an option. 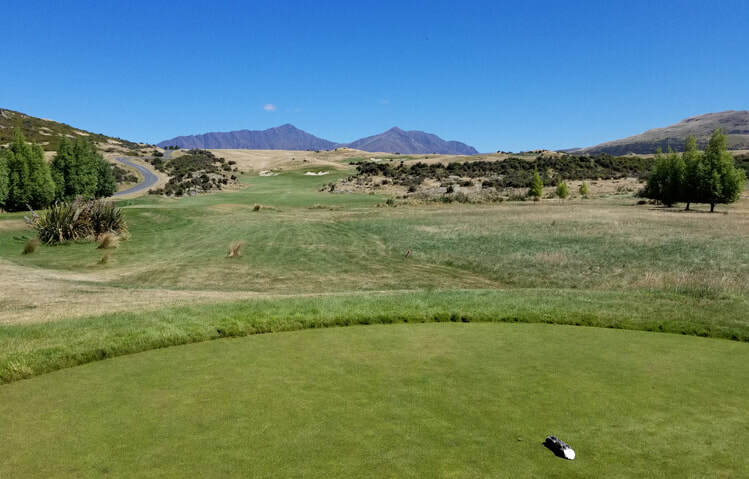 The green is expansive and can yield three putts if the player hits the wrong club. Jack's Point Golf Course Hole 17: This par five is long but with the shared landing space with number 18 (anything right of the big bunker and down the hill) the player can try to bomb it. The second shot is quite a bit narrower and the green is pretty open but slopes strongly from left to right.